Just across the Georgia-South Carolina border and a mere 40 minutes northeast of your Port Wentworth, Georgia base, the community of Hilton Head, South Carolina offers a tempting array of attractions to explore during a day-trip. These include theme parks, beaches, museums, wildlife areas, tours, and more. Hilton Head offers swimming, sunbathing, golfing, shopping, dining, playing tennis and touring art galleries. You can also enjoy biking, sailing and kayaking the paths and waterways of this unique barrier island. For a bird’s-eye view of the Lowcountry, take a romantic hot air balloon ride while you sip champagne at sunset, or test your courage in a parasail harness as you soar above the beach. shrimp or blue crab dinner. Take a wildlife trail nature ride atop a gentle mare or a spirited stallion. 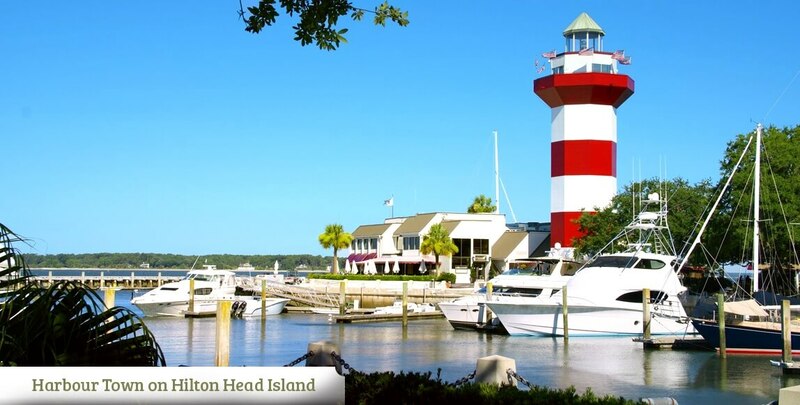 Whatever you decide to do, Hilton Head Island offers a myriad of interesting attractions and fun activities as a prime Port Wentworth day-trip destination. Just minutes from Hilton Head Island, right on the banks of the May River, sits the quaint town of Bluffton, South Carolina, filled with gorgeous antebellum homes, historic churches and all kinds of artisan shops and wonderful restaurants. Old Town Bluffton is a delightful blend of colorful and creative art galleries, history, and dining. Enjoy the flower boxes and rocking chairs, fun garden art and sculptures, and more. Bluffton is also a good place to set out on a fishing charter or kayak tour. Several boat excursion and fishing charter companies operate out of Bluffton.